Soccer and Netball are coming to Lauderhill this weekend. 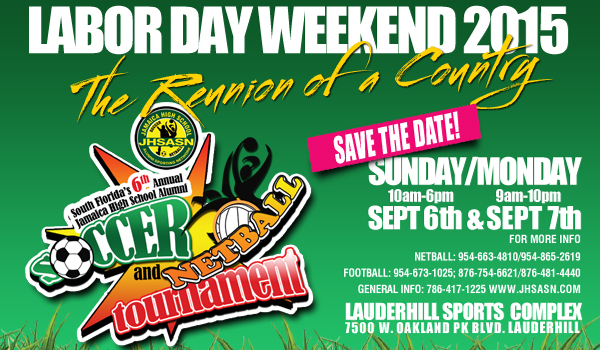 The Jamaican High School Alumni Sporting Network will be hold its 6th Annual Alumni Reunion over Labor Day Weekend. It’s an opportunity of Jamaicans from all over the United States to meet up and enjoy food, music, and sports. What is Netball? It’s similar to basketball in that the goal is to throw the ball into a hoop. But that’s where the similarities end. Players can’t run dribble or run with the ball. The event is free. For more information call 786-417-1225 or visit www.jhsasn.com.